The 16GB Optane Series PCIe M.2 Memory Module from Intel lets you accelerate your system with faster speeds and responsiveness without compromising larger storage capacities. 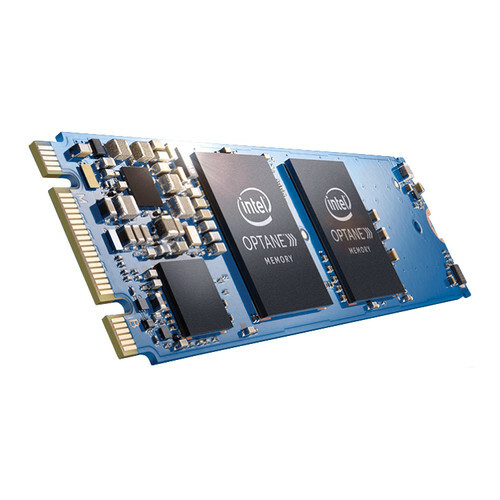 Intel Optane technology is a combination of 3D XPoint memory media, Intel Memory and Storage Controllers, Intel Interconnect IP, and Intel software. When combined, these building blocks deliver improved system latencies and accelerations for workloads that require large capacities and fast storage. Compatible with select 7th Gen Intel Core i7, i5, and i3 processors, this 16GB memory module has been built with an M.2 2280 form factor and a PCIe NVMe 3.0 x2 interface. It delivers sequential write speeds up to 145 MB/s, sequential reads up to 900 MB/s, random writes up to 35,000 IOPS, random reads up to 190,000 IOPS, an MTBF rating of up to 1.6 million hours, and lifetime writes (endurance rating) of up to 182.5TB. Optimize your computer's responsiveness with faster boots, faster web browser launches, and faster game launches. Intel Optane memory is a smart and adaptable system accelerator that adjusts to your computing tasks, helping to make everything you do faster, smoother, and easier. Its intelligent software automatically learns your computing behaviors to accelerate frequent tasks and customize your computer experience. Intel Optane memory in your PC delivers improved responsiveness so you can start up quickly, search and find files more efficiently, and save large files with virtually no lag. Experience faster email application launches and rev up your gameplay with an improvement in next-level loading. A high-capacity storage device coupled with Intel Optane memory offers the best of both worlds: high-speed acceleration and affordable, large storage capacity. 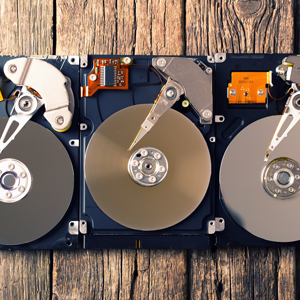 Hard Drives by Application: Which Is Best for You? Box Dimensions (LxWxH) 4.5 x 3.6 x 0.7"